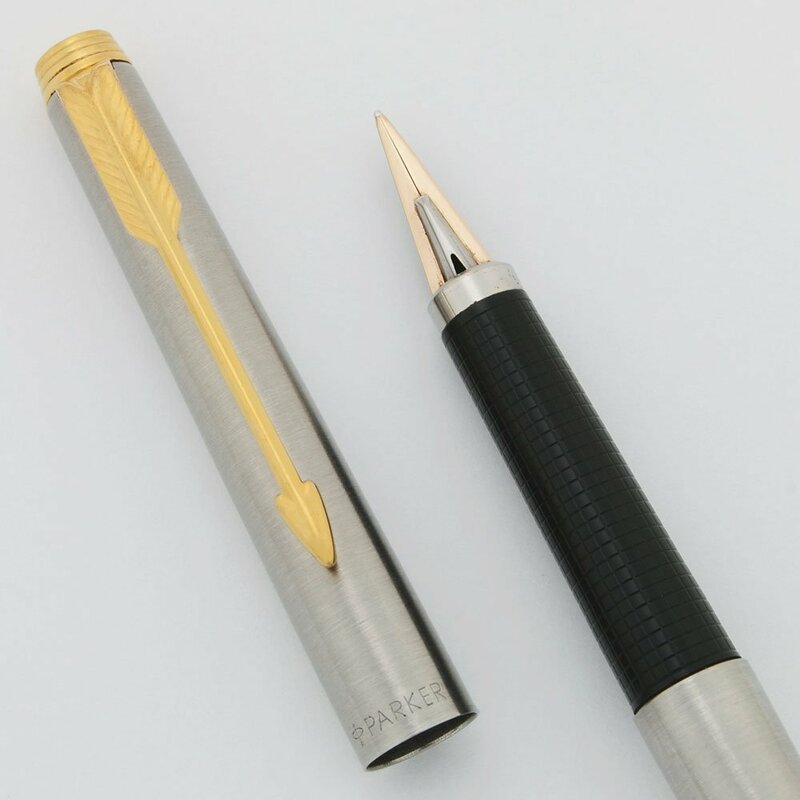 Parker 180 fountain pen, Flighter style with brushed stainless steel finish on cap and body. 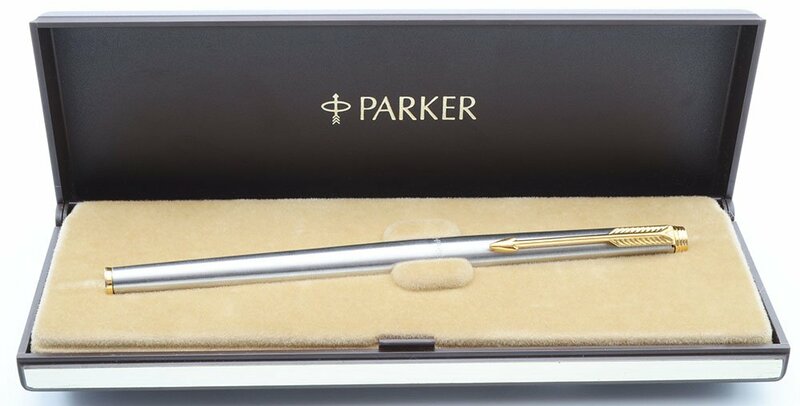 Near mint condition, with reversible 14k XM nib. Filling System Takes Parker-style cartridges and converters. A Parker squeeze converter is installed. Color Brushed stainless steel with gold plated trim. Nib XM 14k nib is reversible. When the nib is designated with two letters, when you write with the nib in the normal position and you get one line width (medium), then flip it over and write with the other side and you'll get the other line width (extra fine). As a result of the reversible nature though the tips don't really write as labeled. The medium side writes like a fine and the extra fine side writes almost like a needlepoint. Condition Near mint condition. The trim looks great and there is very little handwear. There's one or two marks on the nib and a few spots on the cap where the coloring looks a little different even though the finish is intact. No scratches, chips, cracks, or dents. The trim is in excellent condition. In Parker plastic box.